Fish prefer to have bait that is fresh and well presented. The best way to ensure that your bait is fresh is to collect it yourself or to catch the bait. There are a number of baits that fishermen use. The common types of bait are discussed below. Get a bobbin that will hold your thread. 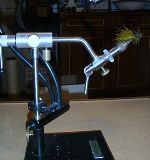 A bobbin will keep your thread tight and organized while you are tying your fly. Bobbins come in a variety of sizes, but they all basically do the same thing. Spend just a little bit more money on a bobbin and you won’t have to worry about cut threads before you are through. You need to also splurge on a good pair of scissors. To start out with, one pair of scissors is enough, but as you get better at fly tying, you’ll want to have a variety of shapes and sizes to meet the needs of the flies you are tying. The loops should fit your fingers comfortably, and they should be kept sharp. Hackle pliers are small pliers with enough constant tension designed to wrap hackle feathers around the hook. As with scissors, they come in all shapes and sizes, but they all do basically the same thing. Find a good bodkin too. A bodkin is basically a needle in a handle. You can use a bodkin not only to tie the fly, but also for delicate work that requires a small, sharp point like separating out pieces of feather and fur. Of course, you’ll also need a large selection of feathers and fur to match the different types of flies you want to match. Mink fur and pheasant feathers are good materials to work with as are peacock feathers. There are several books and websites available that can teach you fly tying for fly fishing as it can’t really be explained in a few short paragraphs. The best way to learn how to tie your fly fishing ties is to experiment and keep doing it. You’ll eventually find techniques that work for you and be well on your way to becoming an expert on fly tying for your fly fishing needs!